We made a plan riddled with risk: Margaritas and dinner at a brand new spot before a 2+ hour play performed in entirely in Polish. For a night at the theater, the adventure quotient was high. New restaurants sometimes have service and kitchen kinks so you don’t know what you’re in for. Drink and food before a very long play can make a sleepy, bladder heavy, uncomfortable disaster and this night was particularly tricky. We were we were off to see Festen (The Celebration) at St. Ann’s Warehouse, brought to the U.S. by Polish theater maker Grzegorz Jarzyna and performed in Polish with English subtitles (projected on the back stage wall). And the topper – first act alone runs 1 hour and 45 minutes. But don’t worry! Risk averted. Reward reaped. 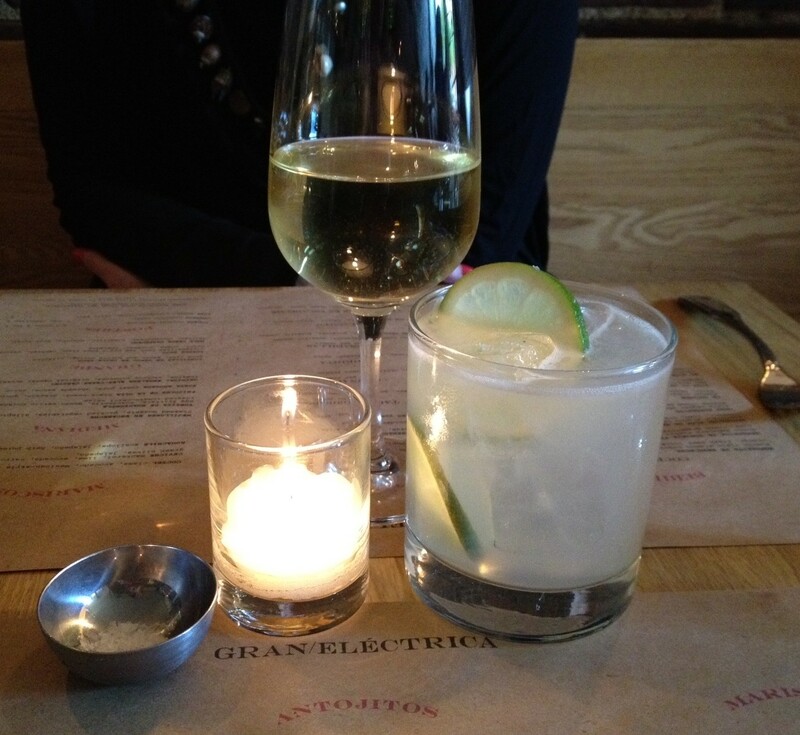 Gran Electrica, the new authentic Mexican in DUMBO is AWESOME! The space is airy, fresh and inviting. (Check out gothamist for a write-up and great pictures.) The service is impeccable. And, the food? The food is so good we ordered more despite the time crunch of the curtain. We had Taco Dorado, deep-fried tortilla wrapped potato with creme and shredded lettuce, which sounds bland but is anything but. We tried the pork shoulder and brisket tacos (yum) and the best taco by far – tile fish with cabbage and avocado. And the margarita was perfect. So please go to Gran Electrica (5 Front Street, DUMBO). Just don’t go too much because then I won’t be able to get a table. And go to Festen at St. Ann’s Warehouse. The 1 hour 45 minute first act flew by (well, mostly). I saw this company perform Macbeth (also at St. Ann’s) so I was ready for the quirks and twists in the production. It was curious and interesting and the story itself is rife with risk (and pain and dull horror) and though I don’t know if I liked it, I know I’ll think about it. To me, that’s a strong measure. But if you’re going to go, go quick. Festen’s limited run ends Sunday, April 29. And for that matter, St. Ann’s Warehouse, in its current location, is on a limited run. They close at season end and will be moving to a new space. So go. Enjoy a risky night of food and theater. You’ll be glad you did.